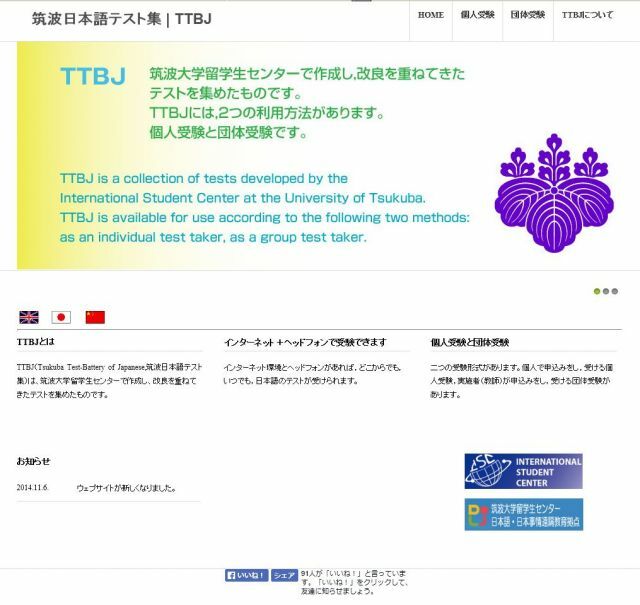 This is a collection of Japanese tests, the TTBJ (Tsukuba Test-Battery of Japanese), developed and improved by the International Student Center at the University of Tsukuba. The site is available in Japanese, English, Chinese, Korean, Vietnamese and Thai (As of 14 Feb, 2018). 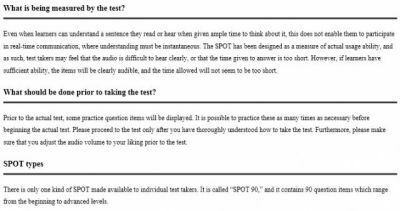 You can take tests with many different kinds of questions easily on the internet. The site is mainly divided into placement tests and diagnostic tests. 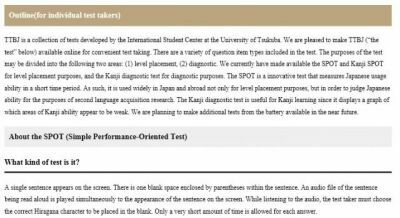 There are individual and group tests. After you finish the test, you can display your results on a graph and download them as a PDF. (As of 14 Feb, 2018) . 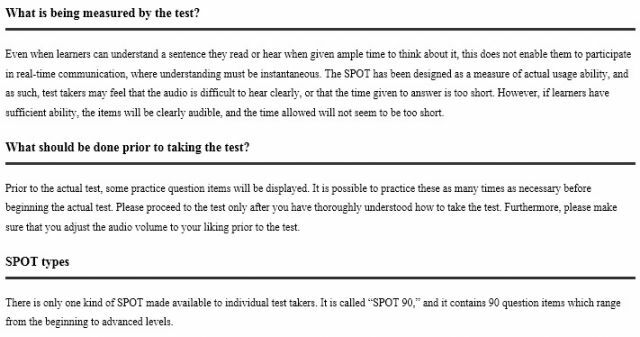 If you have an internet connection and headphones, you can take the test. 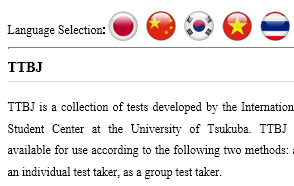 For the individual test, the test taker themselves have to register. There’s a summary here too, so please read it thoroughly. For the group test, the proctor will handle the registration. There is a summary here as well. 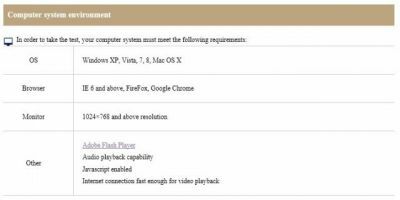 At the top of the page there’s a link to “About the TTBJ” where you can check the computer requirements. 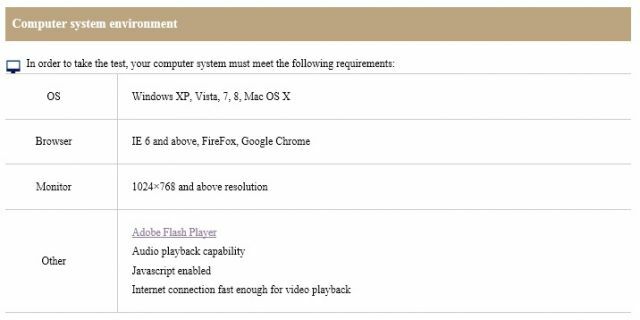 The FAQ is also useful. Before you contact them for support, don’t forget to check it. 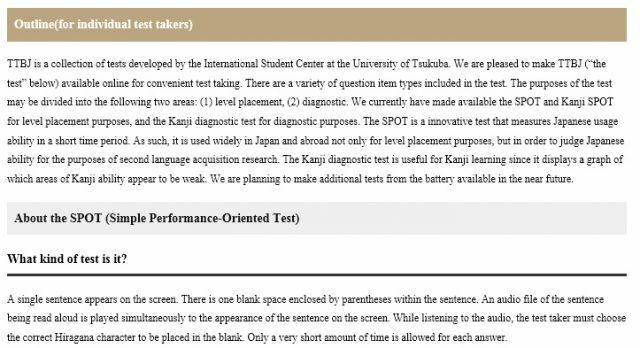 It is a collection of many different tests to take, so it’s a reliable way to check your language ability.